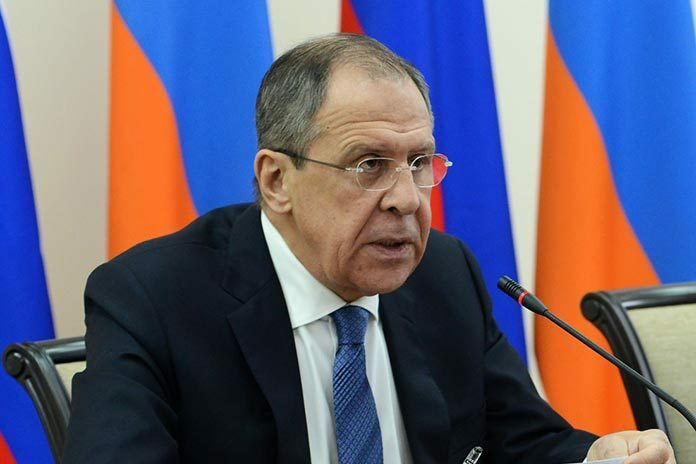 Russian Foreign Minister Sergey Lavrov believes that development of effective mechanisms to prevent violations of truce in Nagorno-Karabakh is a priority today. In an interview with Russia’s RIA Novosti news agency on Wednesday he also spoke about plans to hold a meeting on Nagorno-Karabakh with the participation of the OSCE Minsk Group co-chairs soon. The top Russian diplomat said that even after last month’s escalation Moscow – which is one of the co-chairs of the group along with Washington and Paris – considers it possible, though difficult, to have a “documental drawing up of ideas for a political settlement of the Karabakh conflict”. “Perhaps the passions should subside first, it is clear. But a political process, political settlement have no alternative,” Lavrov emphasized. The remarks of the Russian minister came amid continuing tensions in the Nagorno-Karabakh conflict zone where Armenians and Azerbaijanis have blamed each other for violating the terms of the temporary ceasefire agreed after four days of intense fighting on April 5. Scores of soldiers were killed on both sides in the April 2-5 fighting – the worst in Nagorno-Karabakh since 1994. 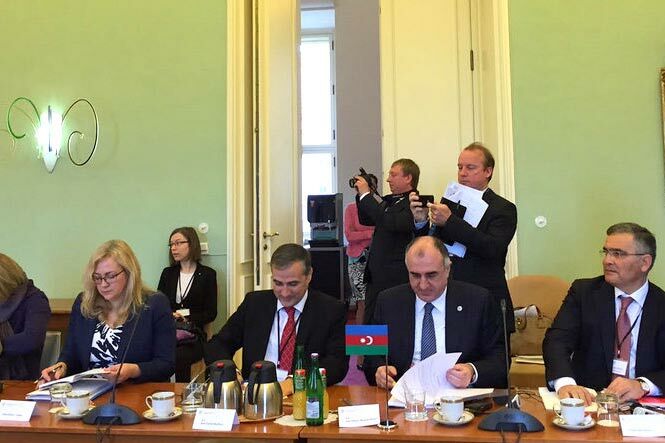 Armenian Foreign Minister Edward Nalbandian and his Azerbaijani counterpart Elmar Mammadyarov, meanwhile, exchanged barbs at an Eastern Partnership event in Prague, Czech Republic, on Wednesday. 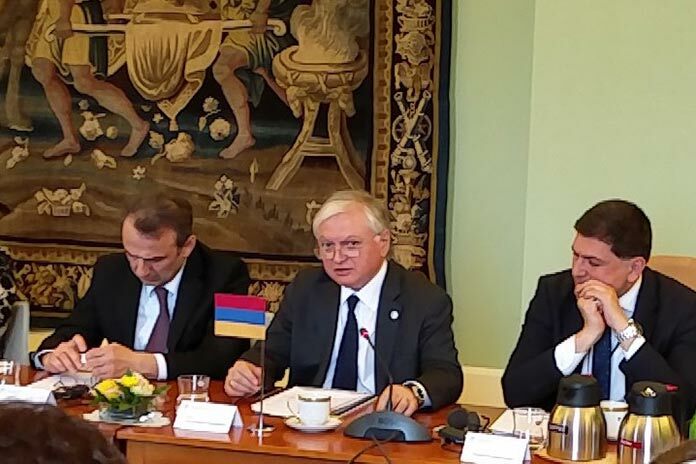 To Mammadyarov’s tirade about the “Armenian occupation” of Azerbaijani territories, Nalbandian accused Baku of glorification of murderers, reminding the 2004 axing of a sleeping Armenian officer by an Azeri military man during their joint participation in a NATO training course in Hungary. Ramil Safarov, the convicted murderer sentenced to life in prison, was controversially extradited to Azerbaijan in 2012, then pardoned by Azerbaijan’s president and promoted as a national hero. “And now large-scale and well planned aggressive military actions are being carried out against Nagorno-Karabakh. Baku encourages violence during these actions,” said the Armenian minister, citing cases of decapitation and parading of dead bodies of Armenian soldiers as well as other atrocities carried out by Azerbaijan’s military during the recent hostilities in Nagorno-Karabakh. In his speech at the EU Eastern Partnership and Visegrad Four (Czech Republic, Hungary, Poland and Slovakia) Foreign Ministers’ Meeting Nalbandian, in particular, said: “Despite the repeated calls of the Co-Chairs of the Minsk Group for the unconditional implementation of the trilateral ceasefire agreement of 1994 and the agreement on the consolidation of the ceasefire of 1995, signed by Azerbaijan, Nagorno-Karabakh and Armenia, Baku is attempting to put under the question the validity of those documents, by distributing appropriate letters in the OSCE and the UN. Those attempts were failed due to prompt reaction of the Minsk group co-chair states, calling for full respect of 1994-1995 ceasefire agreements.